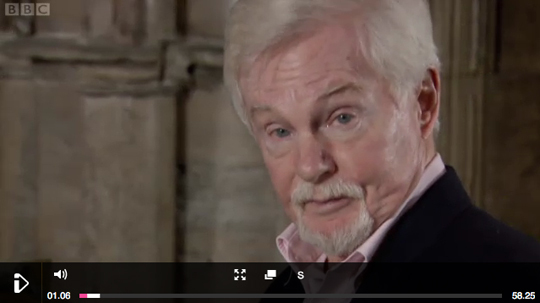 Despite his assertion that ‘Shakespeare… never wrote… a single word…’, cuddly old man Derek Jacobi (of Charles Dickens’s England and The Riddle fame) has been up to his old tricks this week, running around London spunking our license fee up the wall on a documentary about the Bard’s 1595 opus Richard II. The hour-long film aired on Saturday, and like the aforementioned Dickens-based works, it’s a masterpiece of overlong pauses and bizarre intonations. It’s available on the iPlayer until July 22nd. If nothing else, I urge you to check out the bit at 15:15 where Jacobi dodders into the Globe’s rehearsal room like an elderly theatre patron who’s lost his way back from the toilets.